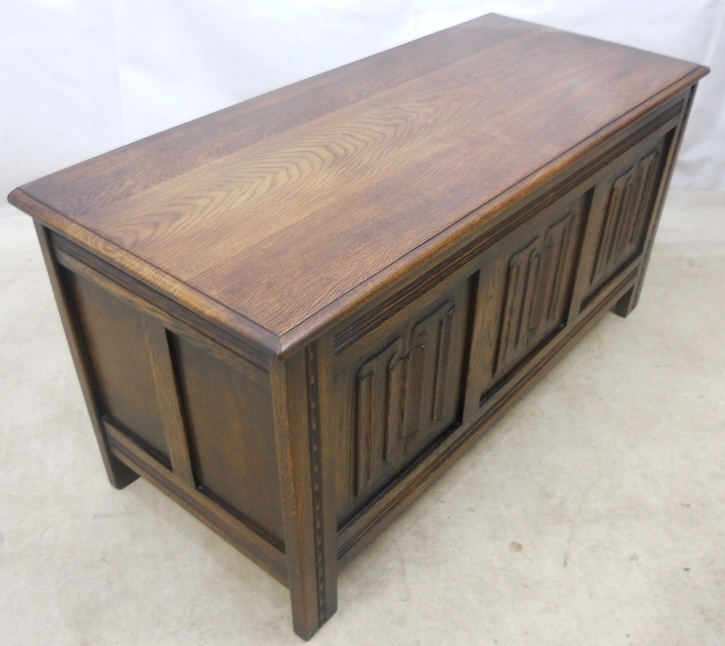 A good heavy quality antique style oak blanket chest. 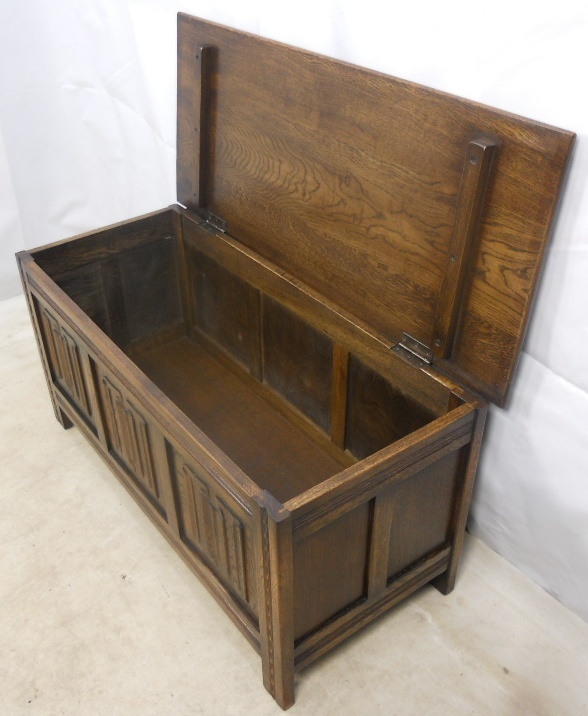 Having a solid oak top and front panel linenfold decoration. 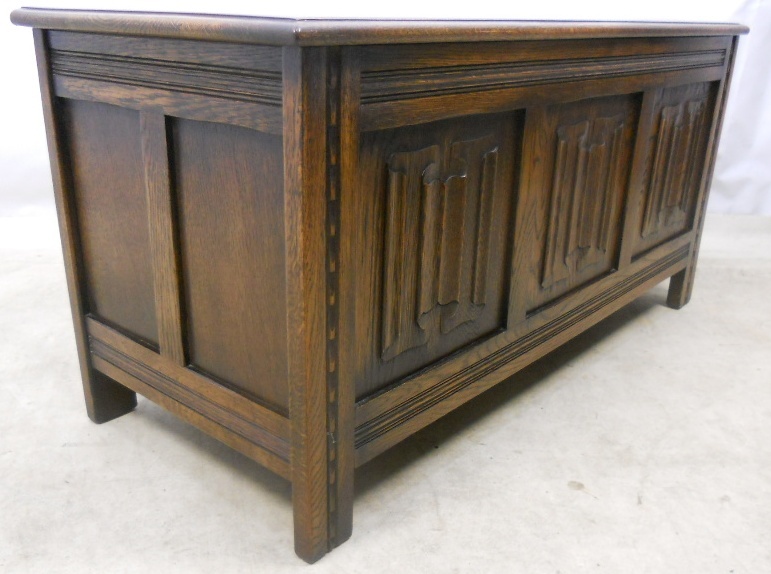 This lovely blanket chest is in good condition throughout, circa 1970. A blanket chest can provide very useful storage and help keep the bedroom tidy, providing useful storage of clean laundry for the beds.